Selling a property can be a stressful experience. Our seller’s guide provides the necessary information to make your selling experience straightforward and rewarding. The greatest factor in determining a property’s value is its location. Potential buyers compare other available properties. Market values can change which means an effective marketing strategy needs to take this in to consideration. The condition of the property determines it’s value as well as the speed of sale. Overall, it is the marketplace that determines a property’s value. At GPMG, our agents use their knowledge of New York’s market to calculate what we believe the market will trade at, but ultimately the market dictates the actual price. Although many things factor in to the market value of a property. Some simple changes and cosmetic repairs could increase your property’s value as well as help your property stand out. Moving out unnecessary furniture and items can make your space seem larger and brighter. This gives potential buyers an opportunity to envision their own touches. If you believe something is too much to fix, chances are a buyer will too. It’s best to do any repairs before putting your property on the market to help present your property with its best potential. When a clean home is presented to a potential buyer, it seems like a space valued and cared for. Presentation is key to selling any property. Opening the blinds, turning on all the lights will make your space seem brighter. Making the beds, cleaning the bathroom(s) and kitchen as well as tucking away any miscellaneous goods are all good ideas. Potential buyers feel more comfortable to discuss how they feel about a property when the seller isn’t there. Keep in mind that once a seller and a buyer come to an agreement on price, a transaction can take up to 3 months or longer to close. Speak to a financial planner or accountant to find out if you need to do any financial planning. Talk to your agent about the selling process and timing. Schedule a time to have your agent come by and do a walk-through and evaluation of your property. Begin making the necessary improvements to your property (if any). If you plan on moving to a new home, speak to your agent so they can help you with your search. If you have not chosen a broker, now is the time to begin interviewing agents. Sign an exclusive agreement with a broker so they can begin working for you on your behalf. Choose your attorney now so that you are ready to negotiate terms when you receive contracts and proceed to contract. Complete any improvements, focus on de-cluttering the space and scheduling for photography. 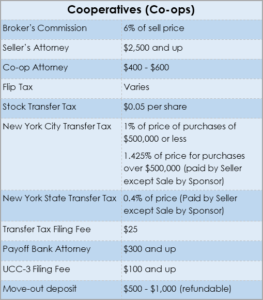 Why should I work with an exclusive broker? Taking advantage of an exclusive broker gives you (the seller) a leg-up in the real estate industry. Broker’s offer professional marketing of the property with photography, floor-plans, and marketing collateral to appeal to potential buyers. You will have a knowledgeable expert guiding you on market research and best market price. Brokers are experienced negotiators – negotiating on your behalf. Other benefits include: use of key online platforms to advertise your property, use of best marketing strategies which help a home sell faster, and exposure to an entire industry to let other brokers know your property is available. How do I make my property more attractive? A potential buyer needs to be able to imagine themselves in the property. Cleaning the space, removing any unnecessary furniture and personal knick-knacks all help to aid in the attractiveness of your property. A fresh coat of paint in the space can also be helpful. And of course, your agent would be happy to advise you. How do you ensure a buyer is qualified? Every potential buyer should have a pre-approval letter from their lender. Your broker will request the financial information from the potential buyer to ensure they would meet the minimum requirements to be accepted by the board in a way to ensure they are “pre-qualifed” before showing the apartment. Marketing your own home isn’t as easy as it seems. Whether it comes to staging or accessing repairs, most home owners overspend on areas where they shouldn’t and under-spend in areas that they should. 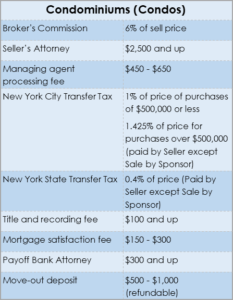 Selling/Buying a home is a legal transaction. Which means tricky paperwork. For those in the real estate industry, legal paperwork is second nature. For those braving it on their own, unless you have legal or contracts background, it might be best to leave the paperwork to the pros. Time is money. Without a real estate agent, you are left to show the property on your own and lose access to a greater marketplace. Sellers also don’t have the same ability to qualify buyers which means a contract could fall apart at closing when the potential buyer doesn’t have the funds to buy.